North Dome is a granite dome in Yosemite National Park, California. 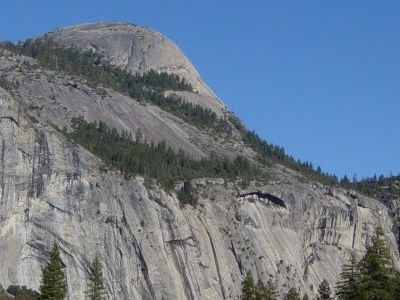 It is the southern summit of Indian Ridge, 0.6 miles (1.0 km) north of Washington Column and the Royal Arches on the northeastern wall of Yosemite Valley. It can be reached by trail from the Tioga Pass Road, or by going up the Yosemite Falls trail and heading east. It can also be reached from Mirror Lakes by the Snow Creek Falls trail going north around Indian Rock and then south again on the Tioga Pass Road trail. 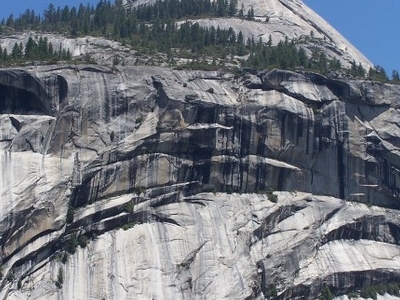 Here's the our members favorite photos of "Peaks or Summits in Yosemite National Park". Upload your photo of North Dome!